Our coaches have a wide range of experience & backgrounds covering a variety of disciplines over a multitude of distances. Between them, Paul, Dani & Dean have over 30 years of competitive endurance sports experience, completing between them, 9x Ironman distance triathlons, countless marathons and some of the worlds toughest multi-stage ultra marathons. The coaching team have over 8 years of coaching experience and have welcomed countless athletes into the endurance sport community, sharing their knowledge of competing and training to help athletes improve and achieve their individual goals. With a mix of interests, we continue to learn and educate ourselves across all disciplines and distances. We come from a variety of social and professional background, ranging from design to bio-mechanical engineering and sport development and physical education. Most importantly, we share a common set of beliefs and philosophy in supporting, educating and guiding our athletes in their development. Paul is an experienced endurance athlete and multi-sports coach. Having joined his local Triathlon Club Mersey Tri in 2012, and competing over all distances of multi-sport from sprint distance to Ironman, he began coaching to share his own experience and help those from non-endurance backgrounds to achieve their goals. As a lead run coach at Mersey Tri, Paul has seen his group of athletes go from strength to strength across a variety of distances and disciplines. I’m slowly creeping through my 30’s and have lived in Liverpool since 2005. I’m an architectural designer by day, and like to think of myself as a good example of someone who balances their training and personal sporting ambitions around work, friends, family, coaching and life in general. Having completed my first Half Marathon for charity 2006, I continued running whilst playing hockey competitively at University. I never imagined running further than a half... that is until i joined my local tri club, meeting an inspirational group of athletes who I deemed superhuman at the time. Having asked ‘what does an Ironman entail?’ I quickly found myself wondering, ‘well if they can do that… I can run a marathon!’ I went onto complete my first marathon in 2013 and haven’t looked back. I completed my first sprint distance triathlon in 2014, going on to race in my first 70.3 Half Ironman in Mallorca 2 months later. Since my first year competing in multi-sport, my new found fitness & confidence has seen me embrace a variety of challenges, and I have loved training and racing all around the world and in some amazing locations, from 212mile Coast to Coast endurance rides racing the sun, to competing in the 6 Day multi-stage Everest Trail Race, one of the world’s toughest high-altitude ultra-marathons, covering 100miles of trails in the remote Solukhumbu region of Nepal. I enjoy competing over all distances from local cross country & fell races, to 100mile Time Trials, Ironman triathlons and ultra-marathons. Since starting my journey in endurance sports, I have always been humbled and inspired by the vitality, drive and passion of my fellow competitors. My interest in coaching comes from my own personal drive to improve, pursue my ambitions and push myself further than I ever believed possible. As a coach, I am able to draw on a wide range of experiences, sharing my knowledge and supporting and motivating athletes in their development. I find it hugely rewarding supporting athletes in their development, the challenges faced, embraced, and hurdles overcome in reaching their goals. Fundamentally, I believe that the world of endurance sport should be open to everyone, of all abilities, no matter how much time you have to dedicate towards it. Daniele, AKA Dani started his journey into the triathlon world in Italy, his home country back in 2007. After moving to the UK in 2008 he joined his local Triathlon Club Mersey Tri and started competing in Sprint and Olympic distance races. In 2012 he decided that it was time to race in Middle and Long distance triathlons and has gone on to finish 6x Ironman Distance Triathlons and the Run Iceland, Multi-stage ultra-marathon. As a member of his local club, Dani shared his knowledge and experience with club members, coaching Run and Swim sessions for a number of years. I moved to the UK in 2008. Having lived in Liverpool for 9 years, I now call Leeds my home. Training with a small child in the house is not easy, but who hasn’t got a busy life these days? I’ve always had an active lifestyle. I picked up running after hanging up my basketball shoes, and in 2006 as a member of one of the biggest running clubs in Milan, I discovered triathlon. My first sprint race was an experience to forget, but I was hooked on the sport. I still couldn’t understand how people could compete in longer distances! Three years later I entered a middle and a long distance triathlon. Endurance racing is not only about triathlon. Since taking up Endurance Sports, I’ve completed several marathons and trail runs including a 5 days multi-stage race in Iceland. I love life in the Mountains and used to spend a lot of time in the Italian Alps. I married my wife, (an Ironman finisher herself) in Bormio, a small town at the foot of the Stelvio Pass where I used to spend my summers. These days, with our son, you’ll find us exploring Yorkshire whenever possible. Before moving to UK, during my university years I was a basketball coach. I loved sharing my knowledge in the sport to forge better athletes. When I started my journey with our local triathlon club, I was coached by some inspirational people and exceptional athletes. I enjoyed the process of learning and discovering the science behind the sport. Helping motivated athletes reaching their goals is very rewarding. With the right type of training and support, anyone can improve and achieve what they thought to be impossible. My day job as Bio-engineer in a Clinical Movement Analysis Centre helped me to develop an objective system to analyse swimming, cycling and running bio-mechanics. Technology is a big part of my job and I like to be up to date on the latest gadgets that can help us train better and more efficiently. I’ve got a particular interest in Running with Power (L2 Run with Power Course). Dean is an experienced endurance athlete and teacher of physical education with a BA (Hons) degree in Sport Development and Physical Education. 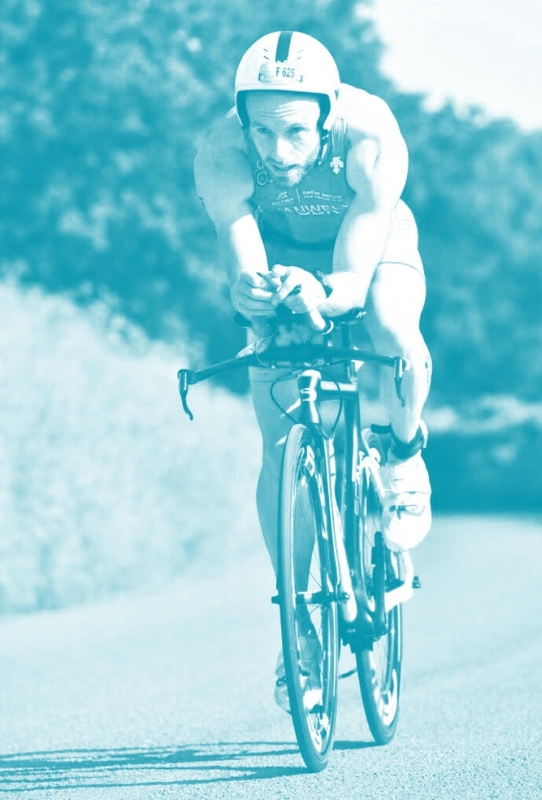 Having joined his local Triathlon Club Mersey Tri in 2013, he has competed in a range of multi-sport distances, from Sprint to Ironman distance triathlons. Being a coached athlete himself he has gone on to achieve success in the sport of Triathlon and endurance sport in a relatively short space of time. Did we mention he’s a proud Yorkshire-man. I am a firm believer that Sport, in its many forms is an incredibly powerful mechanism. Those who connect with it either through participation or watching it will generally stay with it in some capacity for the rest of their lives. I am a product of this and care greatly about how we can maximise its potential. My education and occupation to this point sit right alongside this. I teach Physical Education in a school of 1200 boys in Liverpool. I teach across the age range of 11-18 including GCSE and A-Level and have coached and taught a wide variety of sports for a number of years. I also run a year group of 230 boys which requires an acute eye and skill set for motivating people and monitoring the performance of a wide range of individual needs. I found sport aged 6, playing football competitively for 19 years. I’d eventually stop playing competitively at 25, having enjoyed every high and low that team sports have to offer. From captaining my school and college academy teams, representing Barnsley at school boy level and having a double leg fracture aged 24 I can honestly say that I wouldn’t change my experiences. It helped shape me and taught me that if you immerse yourself in a sport you love and work hard it will give back to you in many ways. At 27 I decided that I wanted a new challenge and with that came the sport of triathlon. I now have a commitment that grows stronger each year, where goals are set and achieved. During this time I have achieved personal bests again and again across the multi-sport and single sport disciplines. With a personal performance focus over the last 3 years across the Olympic and Middle distance I continue this pursuit in 2019. Since undertaking my first coaching qualification at the age of 18 I have been very much involved in this discipline. Being a footballer and completing a basketball level 2 in an unfamiliar sport I received feedback that showed me what coaching was about, I felt an instant connection with it. Since then I have gone on to ‘coach’ and ‘teach’ a wide variety of sports. These include football, athletics, health and fitness, badminton, cricket, gymnastics, rugby, handball and tennis to name just a few. In this role we must firstly connect with people. Once we have done this our passion and desire to get the best out of them will come through. From this we create an environment where people feel they are able to succeed and fail at the same time, without fear knowing that every up and down is a step closer to achieving their goals. How we get there is very much a partnership, everyone is different and we aspire to achieve different things therefore a bespoke focus is paramount to underpinning the coach-athlete relationship.